Thousands of people around the country are using CBD oil for anxiety, and it’s actually one of the most common reasons folks are turning to these products. 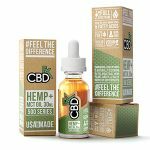 CBD companies are popping up left, right and center, some making CBD pills while others are crafting amazing CBD Vape Juices. The question is, why are we seeing a surge in CBD use? Over the next few minutes, we’re going to take a quick look at this growing trend, the science behind it, and figure out if CBD oil vapes really do help people with anxiety, break out of their shells. Cannabidiol (CBD) oil is currently being touted as a wonder drug, or at least as a health supplement that can change people’s lives. As it happens, there is a decent amount of science, studies, and real-world data that show that it’s not all smoke and mirrors. As far as the Food & Drug Administration is concerned, as of right now it only has one official use. Treatment of certain types of seizures caused by Epilepsy in the form of Epidiolex, a drug prescribed by Doctors with a price tag of around 32,500 a year. Cannabidiol is one of 113 compounds found within the Cannabis family of plants. It doesn’t get you high and according to the World Health Organization, it shows no evidence of creating dependence. While the FDA is currently trying to squash this blossoming market in favor of the numerous drugs that are being shown as replaceable with a much less harmful alternative, the news is spreading quickly that CBD has a wide variety of uses from pain management all the way through to help with anxiety. 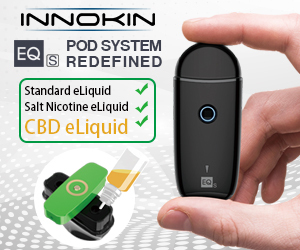 To put it in the simplest terms possible, if for example, you are using a CBD oil vape, the compound within the juice will work with your bodies (ECS) Endo-Cannabinoid system. You come equipped with receptors and enzymes in almost every system in your body that works homogenously to keep you in balance. By using this compound, all you are doing is giving your internals a kick start, getting everything back to working correctly. CBD Oil for Anxiety: Is There Any Truth to it? 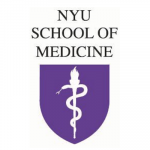 Setting aside the thousands of anecdotal stories from users around the world, the use of CBD for the treatment of anxiety associated disorders, including Post-Traumatic Stress was proven in a clinical trial by researchers at the New York School of Medicine as far back as 2015 (https://www.ncbi.nlm.nih.gov/pmc/articles/PMC4604171), stating that in subjects with General Anxiety Disorders, acute doses of CBD can work wonders. We have linked the study so you can see for yourself that this research is out there. Some anxiety disorders can be mild while others can be and generally are, debilitating. 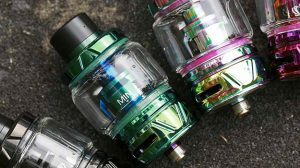 Obsessive Compulsive Disorder GAD and PTSD generally require serious medication to get any kinds of results and most of those medications come with side effects lists that are as long as your arm, none of which are present in the use of CBD oil vapes. The main reason we mention CBD vape juice when we are talking about CBD oil for anxiety is simple, the study we mentioned earlier found that using too much CBD in a single dose could create a scenario where it had little to no effect while steadily dosing throughout the day works. While the study was looking at debilitating cases, they also looked at people with milder symptoms. There are enough of us out here who suffer from some form of neurological disorder, whether it’s depression, OCD, even ADHD, and they showed that CBD can, and does help. 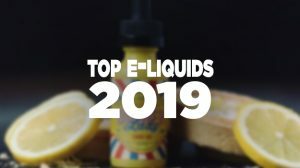 Wouldn’t Switching to CBD Vape Juice Cause more Anxiety? For many people, the concept of switching out anti-psychotics for CBD vape oil was easy to get around but for others, this idea in itself can cause major anxiety. They have become accustomed to using the products that they have been prescribed for years, regardless of the side effects. In the real world, a lot of returning service members with PTSD began self-medicating long before seeking professional help, unfortunately, a lot of them were grabbing whatever they could get their hands on. I personally know several ex-service members with PTSD who used Cannabis to self-medicate and are now using CBD Vape juices as part of their regular daily routine. For them, the ability to function normally is allowing them to fully get back into the real world. With “groggy” feelings (major side effect of every prescribed medication on the market), it’s hard to function normally and the alternative for those who choose to go without anything to help normally ends badly. When you choose CBD oil for anxiety, it is a game changer in more ways than one. Getting back into a regular sleep pattern, being able to eat on a regular basis; these are all things that most people don’t even think of but for some, it is ALL they think about. CBD Oil for Anxiety is a Win-Win! 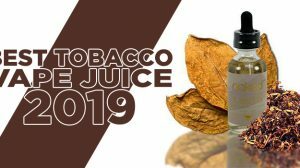 When it comes to taking the plunge on these products, we know it may be terrifying, and it may cause more stress in the beginning because you just don’t know what effect it’s going to have on you. There are some things we can tell you that may ease your mind, and these are things that we know from personal experience and those thousands of anecdotal reports we mentioned earlier. Firstly, you won’t get high. CBD doesn’t have the capacity to be psychoactive, that’s the job of high doses of THC. You may be able to get away from some of the debilitating drug cocktails you are currently taking, we know lots of people who have. If the idea of taking CBD is something you would like to look at, don’t be afraid to talk to your Doctor. 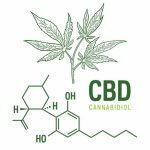 While some are still in the old school of thought, more and more are coming forward every day looking at CBD as a viable alternative to a vast array of drugs. Don’t let your anxiety beat you, see if this can help. So, where and how much is this CBD? Grisel, I recommend visiting our sister-site, CBDManual.com. There’s tons of information so that you can learn more about CBD. 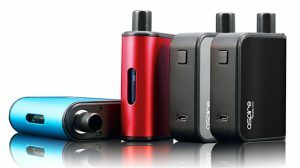 We just published a review of the CBDfx Gummies (https://cbdmanual.com/cbdfx-gummies-review/) and will be publishing a review on the CBDfx oil and vape juice as well.